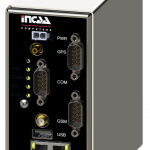 For HITT Traffic (now Saab Technologies) who is a global operating and leading provider of quality traffic management and surveillance systems INCAA has designed a high speed signal generator. The module is especially intended for replicating sensor signals. The sensor itself can be at a remote location, even at the other end of the world, as long as it sends its data over the internet. 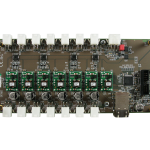 The received data is processed and directly synthesised into analog and digital output signals that correspond to the original sensor signals. 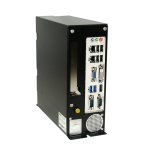 The module has a 1000BASE-TX (1Gb/s) Ethernet interface and comes in a 19” 1U enclosure with an internal power supply. 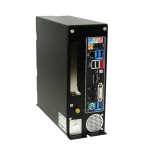 Application: Vending Machines and Kiosks. Adapter replacement with Watchdog and remote power control.